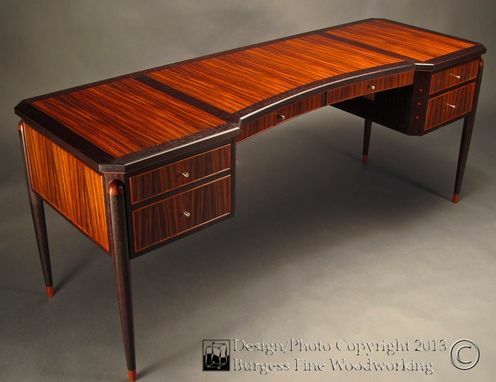 This was a Father/Son project where Dad insisted that his successful Doctor Son should have a proper desk worthy of his present and future accomplishments. Doc enjoyed hand-writing his notes and using a simple lap-top; files could be stored electronically or elsewhere. Having done his homework (looking through a few furniture picture books), this client identified an elegant, yet very traditional design. 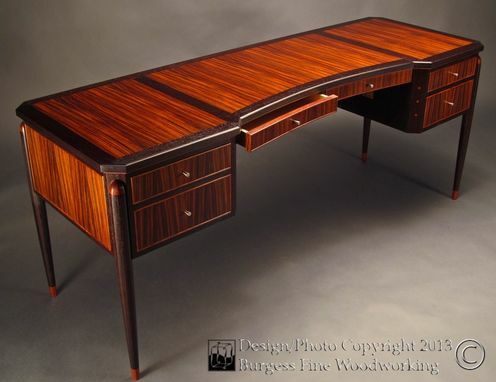 He also selected a famous Sam Maloof Chair, which I reproduced to accompany this desk. An important note: I do not copy others' work; that is unethical. 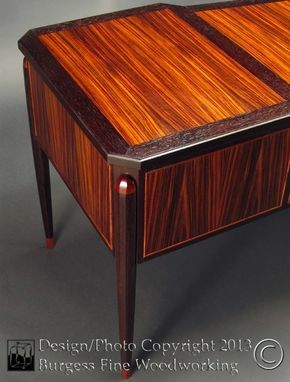 My designs may have elements similar to others', but they are my unique designs. With the client's contemporary tastes, I tempered the historical themes and left the details simpler. 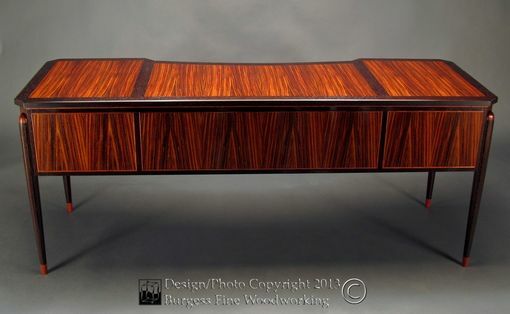 The desk height was set to fit the client's tall stature and the thin pencil drawers allow the top to be lowered to a comfortable writing height for him. 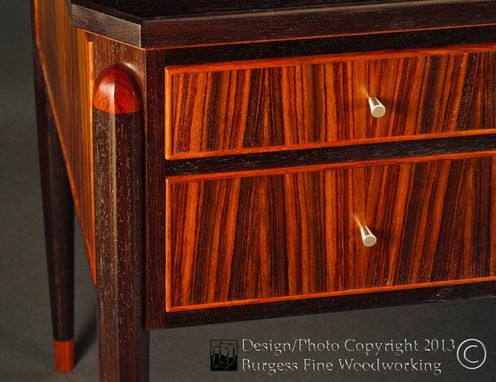 Bubinga caps the legs and beading surrounds the drawers/panels; the veneer fields are rare East Indian Rosewood and encased in Wenge frames. 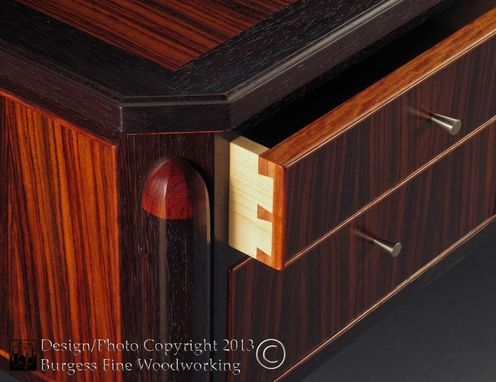 The maple drawers have durable dovetail joints and a traditional wood slide system.